And with one leap they were poorer financially, culturally, socially and intellectually….. One of the very first consequences was a savage reduction in heritage protection. If dormice were a lot bigger (but still ginger) would the Trust allow people with horses and dormouse hounds to career across their environment, against the wishes of 89% of the public, swearing blind they were just following a trail so no dormouse would ever be hurt? But the website gives no further justification, how could it? It seems to us that an organisation that doesn’t do right by one native British mammal shouldn’t seek to get public praise and support for the way it looks after another. How to approve your own plans! Hmmm… so would you or anyone feel it right that a developer that wanted to build in your neighbourhood was allowed to sit in final judgment of the planning department’s recommendations? 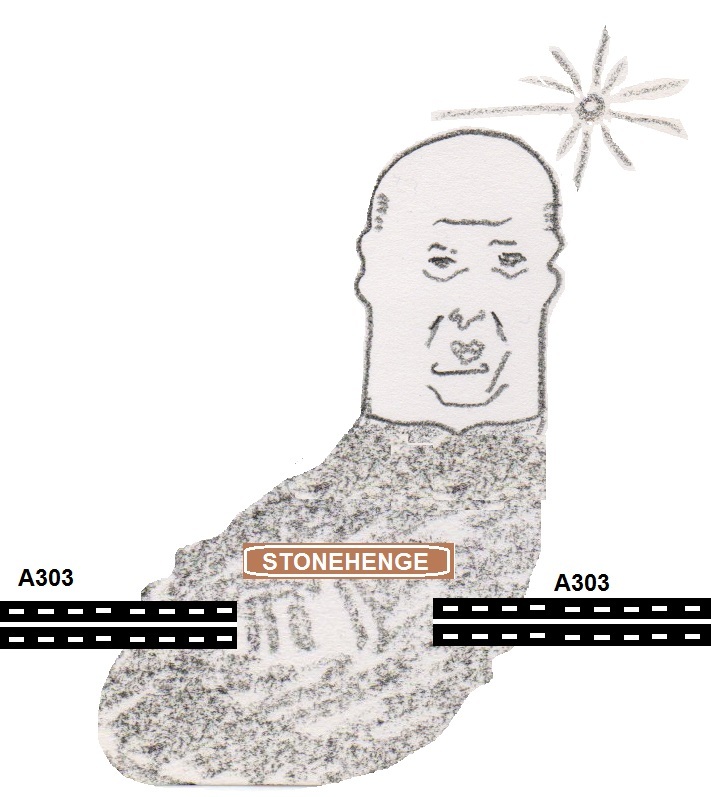 That, in short, is what is happening with the now £1.7 billion Stonehenge tunnel. 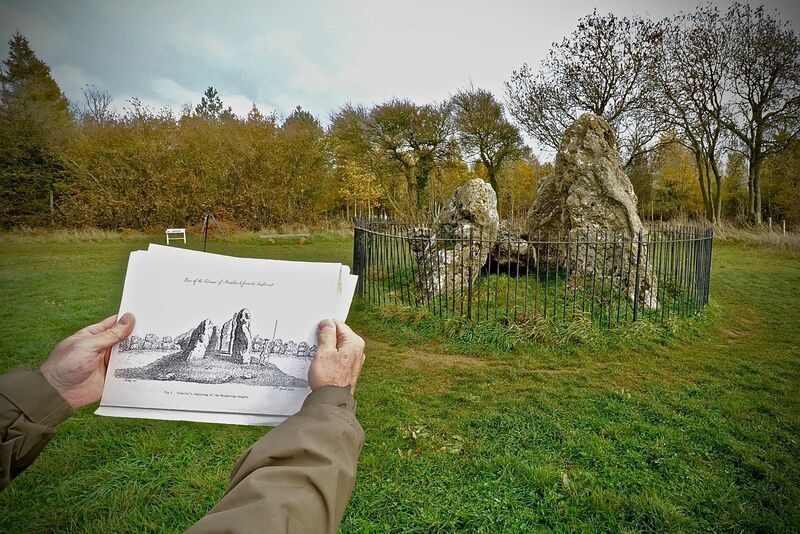 The Transport Secretary instructed Highways England to adopt a tunnel within the Stonehenge World Heritage Site, and following the planning process will make the final decision whether or not it goes ahead unless successfully challenged in the High Court. Closure of English Heritage’s Outreach Department: a sad anniversary. On this day 8 years ago the closure of English Heritage’s Outreach Department was announced, leaving as we commented, “a situation in which there’s no national outreaching to 56 million ordinary members of the English public but there’ll still be about 45 PAS archaeologists outreaching mainly to 8,000 English metal detectorists”. Of course, there’s still some great unpaid outreach by archaeologists but no paid posts other than PAS. Is that sensible when every farmer is outreached to by metal detectorists keen to get access to their fields and loads of detectorists hold show-and-tell sessions in schools, “teaching” children about their version of how to behave? That’s the problem with no proper state outreach. If 24,000 detectorists and 45 PAS archaeologists are telling people metal detecting is fine when “responsible” the actual effect is the inexorable mining of the buried archaeological resource mainly by the irresponsible. Anyone willing to deny it? Thought not! Britain to withdraw from UNESCO to bury the inconvenient truth? Penny Mordaunt, International Development Secretary, wants us to quit UNESCO. A Number 10 spokesman says no, it won’t happen. But we’ll see. What’s clear is that it has been considered – and if it does happen then the one country that thinks metal detecting should be financially supported and that building a mile of new road over the most precious prehistoric landscape in Europe is an enhancement, will have delivered a third massive blow to its own reputation. The political symbolism would be dire: a further retreat from the international community after Brexit and an alignment with President Trump (for benefits unspecified and perhaps undelivered). Or a convenient excuse for Britain to now resign from its treaty promises not to damage the Stonehenge landscape. If the latter it would mean stopping protective payments of £11.1 million a year to make ourselves free to spend a damaging £1.7 billion! Who knows? What IS clear is that lots is going on in private (anyone know why Spain has proposed UNESCO’s opposition to the Stonehenge tunnel be watered down? Gibraltar beware!). But we think the most likely explanation is this: it’s a planned warning shot across the bows of UNESCO, a message saying quit opposing our Stonehenge vandalism and shaming us to the World – or we’ll resign. Like the Spanish support there’s a whiff of cheap desperation about that and it’s to be hoped UNESCO will know that and stand firm. Of course, the worst could still happen, and if it did everyone would be entitled to ask English Heritage, Historic England and The National Trust: is this the grubby disaster you intended to support when you first resolved to defend the indefensible? Hurrah! Making Britain great again! What rot. On whose suggestion was that added? As we were saying, there’s all sorts of behind-the-scenes grubby desperate business going on regarding the tunnel, all of it with a cheap whiff of desperation. Yes, there IS something more naff than the new bridge at Tintagel! Remember our article “What is it about Carbuncles and Castles” about the jarring modernity os some bridges imposed on ancient places? Well here’s the Golden Bridge, Viet Nam …….